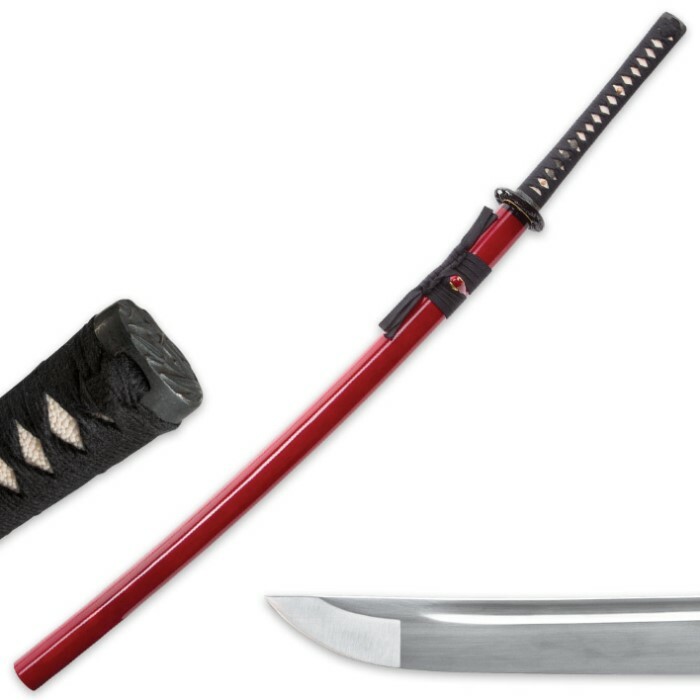 Musashi Clay Tempered 1060 Carbon Steel Katana Sword | BUDK.com - Knives & Swords At The Lowest Prices! 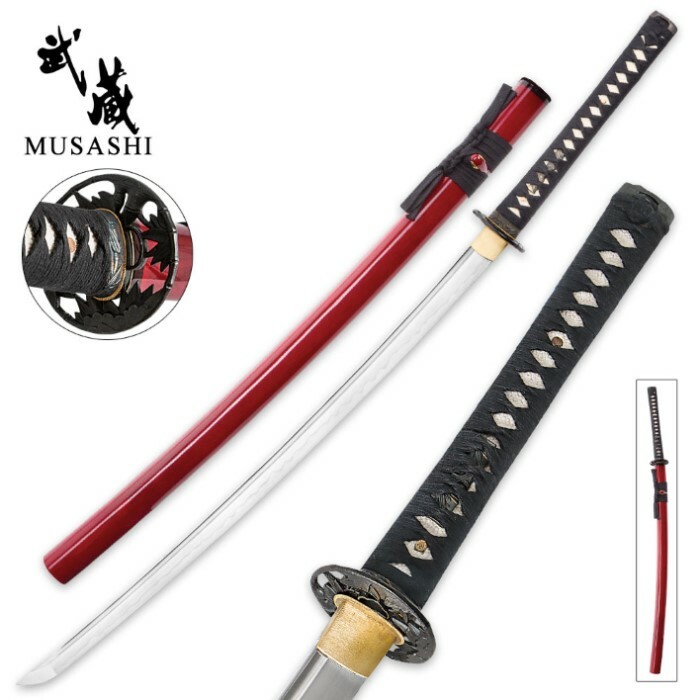 This stunning handmade Musashi sword features a hand-forged 1060 carbon steel blade that was made using age-old clay tempering techniques, resulting in a fully functional work of art. Authentic details such as the antique-finished tsuba, menuki and kashira add historic provenance while the brass habaki adds a splash of elegance. The handle is encased in genuine ray skin with cord wrappings. 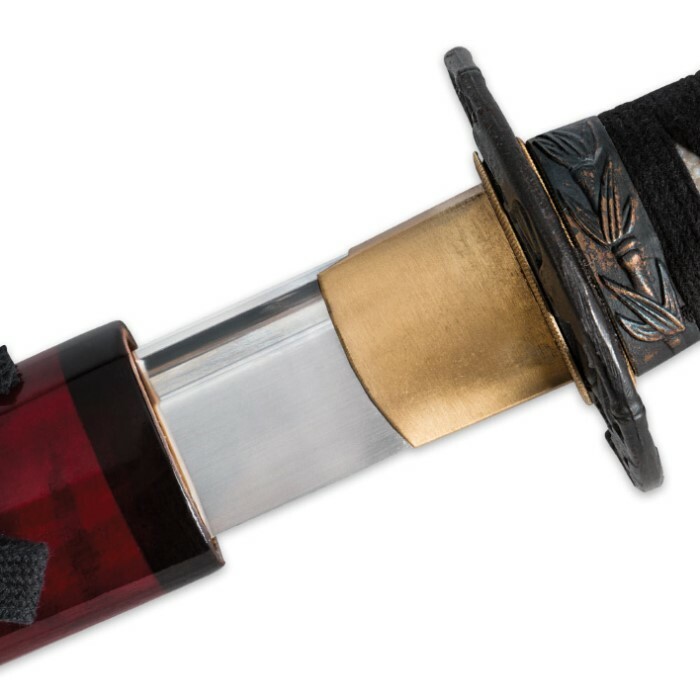 A hand-painted hardwood scabbard houses the 27-1/2" blade.